Hey, what's up? So, like, this site is about video games, too! Sorry if it hasn't looked like it lately. Rockstar is one of my favorite game studios, largely because they strive to be the most cinematic, and I really enjoy getting to reenact all my favorite movie moments with the characters, plot, visuals, and tone just slightly to the left of the original. I don't fault Rockstar for taking good movies and turning them into set pieces for their games. The heists and random events in Grand Theft Auto IV and V might be rip-offs or homages to Heat, The Italian Job, No Country for Old Men, etc. depending on your perspective. And from mine, it's not like the folks over there are trying to hide that they are cribbing from classic films, so I give them what I like to call the Tarantino Pass. Red Dead Redemption is on the short list of my favorite video games of all time, and it's largely because of the sense of scope and personal freedom that are built into the mechanics and the tone of the game. It's without a doubt one of the best examples of an open-world structure, which have become passe in recent years thanks to some sub-par examples and all of the unavoidable pitfalls of the device. Yeah, open-world games like Assassin's Creed III have a problem with giant maps filled to the brim with dynamic landscape...and nothing really to do, other than endless hunting and resource scavenging. Sure, a really bad sandbox element like, say, EA's Burnout Paradise, is merely an unnecessary nuisance at best and a frustrating attempt to pad out a game's lack of scripted content at worst. But RDR was different, because instead of the vast landscape being utilized only as a pretty backdrop for the narrative--one that conveniently takes many real-time minutes to cross on horseback so you feel like the game is much longer than it is--it also acts as a narrative device. 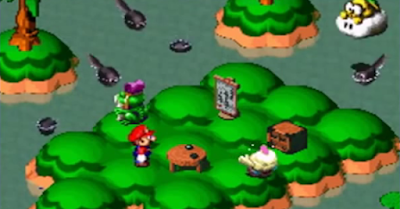 Sections of the game are marked by the new landscapes becoming available, but also the mood of the game shifts with each. When John Marston first enters Mexico, the player feels like a stranger in a strange land. When he first enters the vast forests of Tall Trees, and a grizzly bear stomps out of nowhere to bulldoze him to the ground, you feel suddenly smaller, less dangerous, more vulnerable. Survival and journeying across the world is the real main quest of the game. Well, anyhow, I was thrilled with Rockstar announced the sequel, and even when the release got pushed back from a vague and frankly unrealistic "Fall 2017" to "Spring 2018," I was even happier. I don't mind waiting, because I've seen what happens when the almighty deadline becomes more important that, you know, actually finishing a game. I'd rather pay $60.00 in Spring of next year for a full game experience than pay the same now for half a campaign filled with bugs, another $20.00-$35.00 for the rest of the campaign in Spring of '18, and eventually a multiplayer patch and all the micro-transactions I can sniff at sometime near the holidays after that. Now that the second, more detailed trailer has hit as of this morning, I feel comfortable making wild declarations and hopes about what will probably be my favorite game of 2018 just by virtue that it exists. Here is the trailer that dropped today from Rockstar, and below are my hopes for it. Based on what we see in the new trailer, the new game is definitely a prequel centered around Dutch Van der Linde, the mysterious cult-like Big Bad from RDR, and his infamous gang of outlaws. I was really reticent about the main character Dutch menaces in the teaser being a young John Marston. If I'm being honest, I'm still gun-shy about the game being a direct prequel and involving any of the same characters. This never works out great. Dutch was a good enough foil to the much more nuanced Marston, but he was really nothing more than a drooling psychopath who represented the dark side of the unencumbered cowboy archetype. His downfall, from a Jesse James type of cult figure to a pathetic chicken-hawk who recruited young, vulnerable indigenous men to be his army of killers, was a story best told in the margins of his star pupil's story. 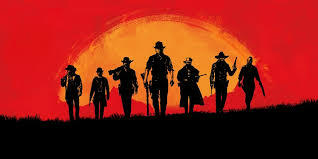 Being that this is a prequel, we can safely assume that the "death of the old west" theme running through the first game is going to be replaced by something more classical and less revisionist. Rockstar's first press statements about the game mention a "more optimistic view" of the country, which would fit with a Reconstruction era, post-Civil War. That era also just happens to be the golden age of the outlaw cowboys, too. I have been grousing for years now that the series should tie up to the first game, Red Dead Revolver, by including some of the characters from that plot, namely the protagonist Red Harlow. It sadly seems that Rockstar would rather fans forgot that entry altogether, though. The newcomer in the trailer, Arthur Morgan, appears to be recruited by Dutch against his will to help pay debts or possibly out of extortion. So, hopefully we will get a main character with a bunch of internal conflict about all the thieving and killing. Being that he's a young man, it would do for the player to choose his path as either a full-blown cutthroat like Dutch, Bill, and Javier Escuela from the gang, or something more of a Robin Hood antihero. My personal idea would be for Arthur to become a sort of Robert Ford type, obsessed with the larger-than-life character who mentors him and ultimately consumed by his need to build his reputation higher than Dutch. It would be a dark, dark story that way, though. Perhaps something a little less dour, such as a classic Yojimbo or Seven Samurai appropriation, would make for an exciting story where the gang could get along and work together for once. 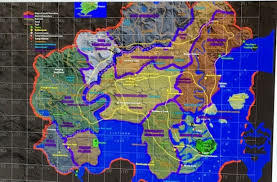 The vastness of the leaked map image points to a much larger story, spanning from the big cities of the northeast, across the deserts of the west, and even as far south as New Bordello, the New Orleans stand-in city from Mafia III. That could mean some classic southern gothic landscapes, such as a bayou. I'm curious if the story might reach far enough back into the century to even make travelling across the map an actual plotline or quest...like, say, an Oregon Trail type situation? In terms of gameplay, it's safe to assume all the basic features from the earlier game will be present: the slow-motion "Deadeye" mechanic, horseback riding, etc. I seriously hope for an enhancement of the gunfighting mechanics. While I appreciated RDR for making bullets really hurt and cover really necessary, the very 2009 use of sticky cover mechanics felt herky-jerky especially when combined with the less-than-elegant walk/run system. Here's hoping that Arthur will be a little more spry in movement than Old Man Marston. 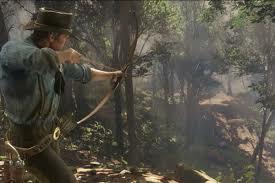 We did see in the new trailer a cowboy firing a bow and arrow, which gets me excited for a little more variable weaponry. The first game had some real limitations as far as hand-to-hand combat and the use of a knife, but if a bow is on the table, perhaps a tomahawk? Perhaps a better throwing system than the basic grenade toss given to dynamite and molotovs in the first game? Hunting, gathering, treasure hunting, and all the other miscellaneous side quests attached to these mechanics will certainly reappear. But one image has captured the imagination of most folks online: two people rowing a canoe. So, hey...boats? Swimming? Imagine travelling from North to South on the map via riverboat. As Arthur Morgan appears to be a reputable young man to start, perhaps that means ranching will return, or be replaced by some type of farming mechanic. Games like this really love their resource trading, so I wouldn't be surprised if Arthur's first few missions involve trading wheat or corn at market and building the infrastructure of his homestead much like Ezio Auditore did in his trio of Assassin's Creed stories. Am I the only one who would like to buy a gold claim and watch my profits soar? Because so much of the first teaser focused on the gang itself, especially that stunning horizon imagery of seven riders, it has been mooted that the game will borrow the very popular GTA V mechanic of switching player characters during missions. If my hope for a Magnificent Seven plot holds any water, it would be a great concept. The second trailer shows some pieces of an organized train robbery, much like the heists from GTA V, and let's face it...there's going to be a RDR Online attached to this game, right? If so, it would be an obvious idea to build coordinated multiple-POV heists and missions into the campaign as well. The promise of online play was an over-reaching one with Read Dead 1. The action mechanics just couldn't move as fast as players wanted them to, and outside the giant battle royale gunfights inside the walls of a pueblo or gang hideout, there just really wasn't anything to do. You could attempt to ride around, gamble, play all the mini-games you wanted. But I'll be honest...I didn't get very far before getting my head blown off by some 10 year old, and I don't find that particularly fun. I wish, I wish upon all the stars in the sky that I could get something more like a western MMORPG instead of a mess of third-person shoot 'em up. But that's unlikely, since that's not really what RDR is. As stated before in the Story Mode, the focus in the marketing on the gang reads much like GTA V and Online's use of building a crew to execute heists, missions, and other jobs as a coordinated team. I'd be willing to bet that gangs and posses are in our future in an online setting. If this is the case, I would hope that your group could do some other activities together, such as betting your haul from the heist on a game of poker or using it to buy land or cattle. Too often the problem with this type of online multiplayer is that the currency starts to become meaningless, so it would be nice to buy some creature comforts other than clothing and weapons. 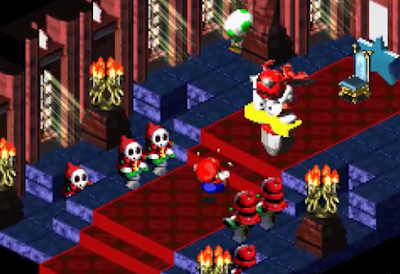 Doubtless, there will be a level-up system, corresponding weapon sets as incentives, and all the basic accompaniments. That's all I've got, but if you have any speculation of your own, or just want to geek out about the new trailer, hit me with a comment below or on the Facebook page or Twitter account @Media_Sandwich and I'd love to commiserate!